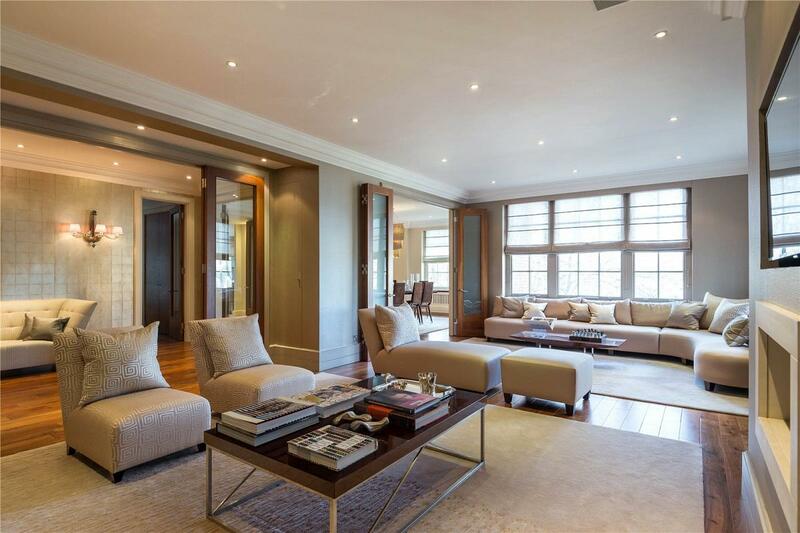 A luxurious apartment with stunning views over Regent's Park, set in a secure portered mansion block with off street parking. This luxurious apartment comprises; double reception room, dining room, large fully fitted kitchen with Gaggenau appliances, 6 bedrooms, 6 bathrooms, study, guest WC and utility room. The property further benefits from concierge and off street parking on a 1st come/1st served basis. The apartment is ideally located for Regent's Park, St John's Wood & Marylebone. "A luxurious 6 bedroom apartment with parking and 24 hour porterage"